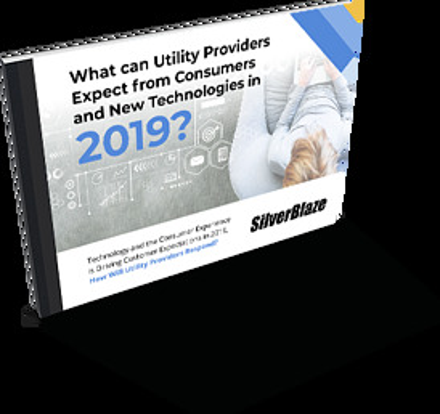 Put an end to service wait times and commit to putting customers first with the SilverBlaze Customer Portal designed for utility providers. Available 24/7/365, our portal solution is customizable, easy-to-integrate and high-value, enabling customers to interact with their utility when it’s convenient for them. Discover how we increase customer engagement with a range of self-serve features, and help utilities optimize processes and deliver ROI. SilverBlaze is an award-winning software innovation, development and consulting firm. 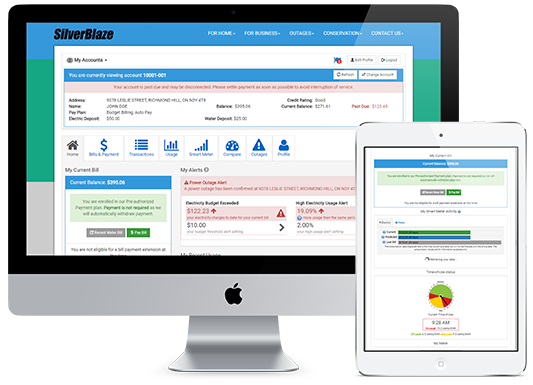 Founded in 1999, SilverBlaze provides utilities with value-focused, highly-customizable web customer portal and smart forms software. Your customers can access the information they need when it’s most convenient for them. As a completely customizable self-service web portal solution, the SilverBlaze Customer Portal offers features customers demand, including: e-billing, payment, customer usage, and more. Paperless billing (ebilling) is a highly attractive strategy for many reasons. The long-term plans of any utility provider must include objectives for managing conservation and demand. 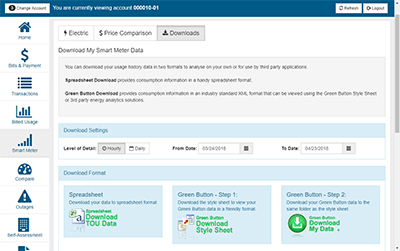 With consumption readings from traditional and smart meters, customers gain easy access to detailed data, patterns and insight. By keeping customers up-to-date on pertinent information, overall customer satisfaction increases. 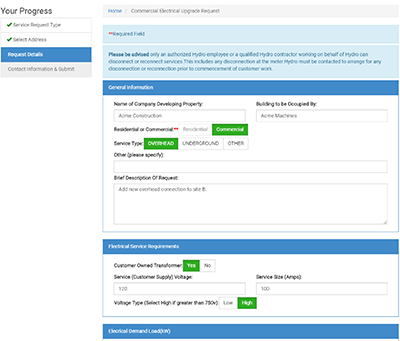 Ensure your utility customers are able to send and receive the information they need quickly and conveniently, with SilverBlaze Smart Forms, built with our workflow software. These beautiful and easy to navigate forms improve customer experience. Completely customizable forms for automating workflows improve customers service levels and customer satisfaction. Smart Forms collect, interpret, and securely store financial data provided by your customers to your back-end systems. Your engineering department keeps your utility services running, so ensure they always have access to the most up-to-date information possible. With SilverBlaze you can build custom forms and workflows for any situation, ensuring you’ll always have the processes in place to streamline your operations. 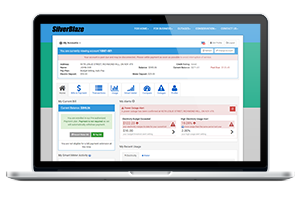 Comprehensive and featured rich add-ons for the SilverBlaze Customer Portal include smart metering, demand and outage integration, telecom, and our content management system. 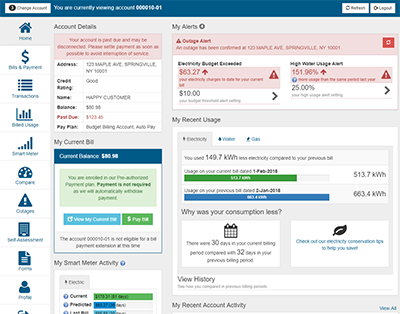 Our smart meter add-on provides your customers with a tool to track their usage, reduce their footprint, and lower their costs. Our CI Demand module is designed specifically for large commercial, industrial and institutional accounts where energy demand management and monitoring are critical. The Utility Outage Management System (OMS) module provides a web interface for outage notifications, with an outage map. The SilverBlaze CMS allows your utility to create and implement websites with modern designs using responsive and adaptive templates. Providing a wide range of services to commercial and residential customers is a complex challenge. 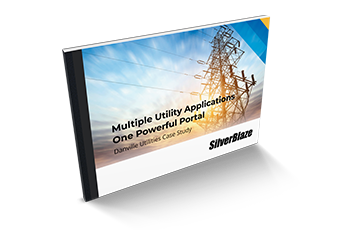 Learn how the SilverBlaze Customer Portal provided the solution to Danville Utilities. From artificial intelligence and Smart metering, to service offerings that reduce customer effort - find out what's ahead for the utility sector in this overview of industry trends. Provo City has a great customer engagement platform with the Customer Portal software for utilities. This provides convenience for key tasks, and serves to educate and inform our electric and water customers – all of which is very important to us. SilverBlaze is thoroughly engaged in understanding the needs of our customers, and our business. SilverBlaze has had the pleasure of working with these exceptional utility organizations. What is eBilling and how can Utility Providers Successfully Implement it Into Their Business Processes?